Are you ready to transfer your hairstyle? Women all over the world love the convenience and amazing results of clip in hair extensions. In just a few minutes you can transform your dull and lifeless hair into glamorous moviestar locks. Clip in hair extensions are perfect for creating a new and unique style for special events. Once you have your vision of your perfect look, it only takes minimal effort to choose and install the perfect clip in hair extensions. The following expert tips and tricks will help you install your clip in hair extensions easily, effectively and without any disasters. Eden Hair Extensions offers a massive range of 100% Remy real human hair extensions with a luxuriously soft and silky look and feel. One of the prime reasons why so many beauty gurus and fashion experts love Eden Hair Extensions is the extra effort they put into ensuring that each customer receives the perfect colour hair extensions for their shade. 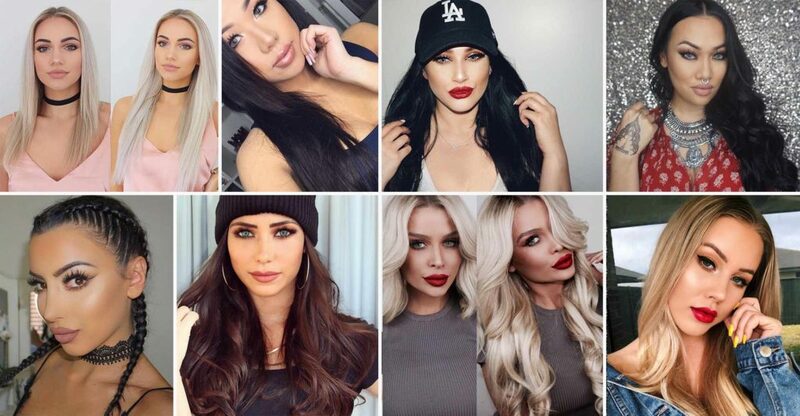 Eden Hair Extensions has 11 shades of their clip-in extensions: Ash Blonde, Beach Blonde, Ombre Blonde, Ombre Chestnut, Dirty Blonde, Chestnut Brown, Chocolate Brown, Dark Brown, Mocha Brown, Off Black, and Jet Black. If you’re not sure which one suits you best Eden Hair Extensions accepts emails with a picture of your hair taken in natural light. Within 24 hours Eden Hair Extension will get back to you with an expert opinion of your best match. If you’re still not sure, Eden Hair Extension offers colour samples which you can try. If the colour still doesn’t match what you want, you can tone or dye your extensions to suit you. Always remember because the products at Eden Hair Extensions are made of real hair you should only use sulphate-free products on them and test any dyes on the ends or on a colour sample first. Also, you want to give them a deep condition after, so they last as long as possible. 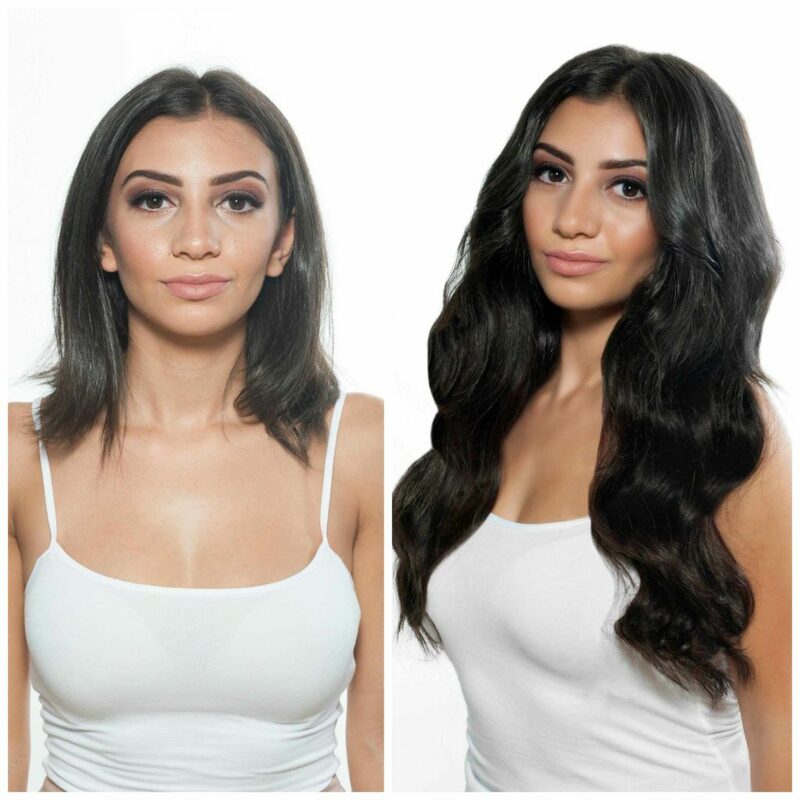 All of Eden’s clip in hair extensions are the standard 20” length and have a full head worth of extensions. They come in different weights for how thick they are: 120g, 160g, 220g. If you have finer and longer hair or if you’re trying to keep it natural but with an extra something then 120g is the best for you. If you want a bit more volume and already have an average thickness or your hair is at least to your collarbone area, then 160g might be what you’re looking for. It will blend with most hair unless your hair is very thick or short. Next is the great all-rounder, and the best for very thick or short hair, 220g. It looks great with just about any length, thickness, and style. As awesome as 20” of hair is, it may not work for the style you want, but what’s really awesome is that you can take them to your hairdresser and have them cut to suit you. If you do have this done you may want to create a numbering system so that you can clip all your extensions into the right place. Now that you have the right extensions for you, here comes the slightly intimidating task of actually putting them in. If you have wavy/curly hair you may want to straighten your hair before starting. Start by brushing out your hair and creating a section at the very back of your head, about a couple of centimetres higher than the natural edge of your hair. You want to keep the section fairly straight and if you aren’t confident you can use a comb to help you. Clip your hair up and out of way above the part. If you have thin hair you may need to grab a comb and slightly tease the hair in the lower part of the section so that the wefts have something to clip on to. For the section closest to your neck, you may want to use a four clip or a couple of single clip wefts as this area often is a lot smaller than higher up on your head, this will also help the extensions blend with your natural hair. Bring the extension as close to the roots of the lower half of part as you can and gently push the clip into the hair and secure it by gently pushing down on the clip. Once you have made sure it’s in place let your hair down and repeat the process. You want to create the section a bit higher, maybe a couple of centimetres higher, than where you put in the first extensions. Now you might want to start using your larger wefts such as a 6 clip and put it in the same way as before. To help you thoroughly understand the process and to undertake the installation with confidence, here are some expert guides from beauty influencers with some extra tips and tricks. So are you ready to create your new showstopping hairdo? If you would like to come and explore the entire range of clip in, tape in and virgin hair extensions available at Eden Hair Extensions, come and visit the company website today. All of the products are ethically sourced and ensure that every hair donor is appropriately compensated for their hair. Another reason you will love Eden Hair Extensions is the amazing free shipping they provide! Place an order over $179 and enjoy free shopping worldwide. Enjoy premium quality hair extensions without having to pay extra for shipping and delivery. The team are ready to assist you with finding the perfect hair extension to complete your look. 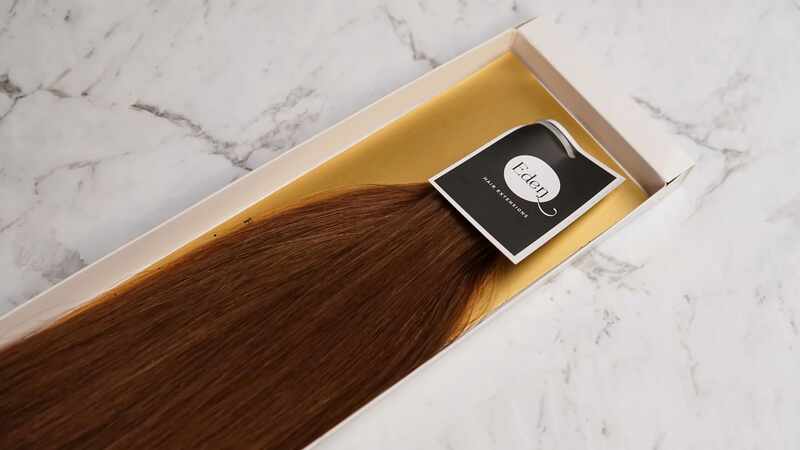 With an abundance of 5-star reviews from some of Australia’s most recognised beauty bloggers and influencers, it should come as no surprise that Eden Hair Extensions are quickly becoming one of the industry’s most loved retailers. For more information on how to install your new hair pieces, visit the how to install hair extensions page.